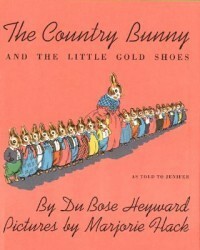 The Country Bunny and the Little Gold Shoes is a sweet children’s story about a brown, female country bunny with 21 children who competes and wins against slicker-looking, mostly white, male bunnies for the coveted role of Easter Bunny. She then deploys scientific management principals to delegate household responsibilities to her extra-large brood so that she can go out and conduct her important holiday job. The story is delightful and surprising for two reasons: 1. the country bunny is an Afro-feminist heroine; 2. a White male southerner wrote the book in the late 1930s. What influenced author DuBose Heyward to create such an unusual and enchanting Easter story? One answer is that Heyward defined his literary career by creating Black (and often female) characters with strength and integrity. He was from an aristocratic Charleston family and scholars have speculated that Gullah (learned from his family’s servants) may have been his first language. As was common for Charleston elites, Heyward began spending summers in the North Carolina mountains near Hendersonville at property that he and his widowed mother purchased in 1917. 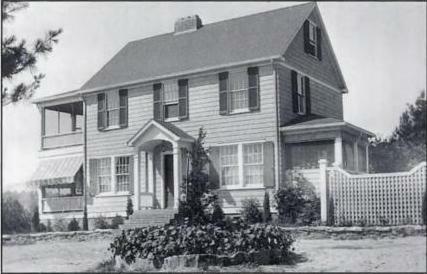 After his marriage in 1923, Heyward built a substantial house, “Dawn Hill,” to serve as his family’s principal residence. The house still stands on Old Kanuga Road south of Hendersonville. He achieved literary fame after the publication of his novel Porgy (1925) and co-wrote the screenplay and music for the Broadway hit, “Porgy and Bess.” In 1939, while still living in Hendersonville, he published the children’s story he had made up for his daughter, Jenifer. A story hour at your institution this week with The Country Bunny and the Little Gold Shoes will celebrate both Easter and a significant North Carolina author. One of our C2C project partners, the North Carolina Museums Council, is turning 50 this year. 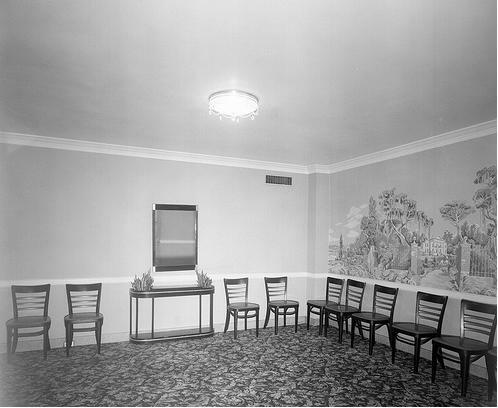 NCMC had its first organizational meeting in Raleigh, at the Sir Walter Hotel, on December 4, 1963. The achievement of a half-century’s persistence is a common marker of historical significance. 50 years’ endurance often qualifies objects as “antiques.” Similarly, houses must usually be 50 years old to be considered for Historic Register status. The organization’s longevity, then, is worth celebrating. The NCMC annual meeting next week will be in downtown Raleigh again for the organization’s Golden Anniversary. It will be a great opportunity to see colleagues from across the state, learn from their experiences, and strengthen your institution’s network of support. 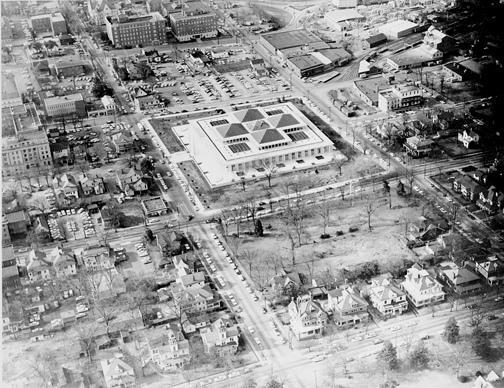 50 years ago, Raleigh looked very different. While the Sir Walter Hotel had been around since the 1920s and its name reflected colonial revivalism, the city’s urban renewal was beginning. The brand-new legislative building (in the center of left photo) held its inaugural session and ushered in a wave of state government building and cityscape transformation. 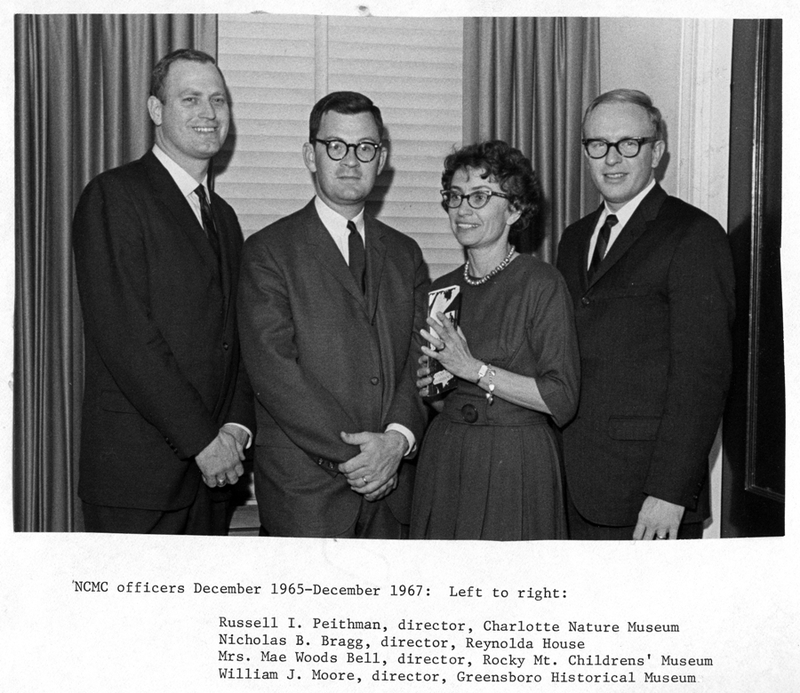 50 years ago, approximately 35 museum professionals attended NCMC’s first meeting. The president of the Tennessee Association of Museums “spoke on the implementation and advantages of the state-wide organization of museum personnel.” Founding members decided to meet 3 times each year in March, June, and December. They charged $1.00 for membership, $1.00 for meeting registration, and $2.00 for meeting luncheons. The first president was Frank Walsh of the Department of Archives and History, Division of Historic Sites. 50 years ago, Walsh and Secretary-Treasurer Joye E. Jordan sent letters inviting all North Carolina museum personnel to join NCMC and announcing the organization’s purpose: “…to encourage and improve the practices of museums in this State; to stimulate public interest, support, and understanding; and to provide for the inter-change of ideas and co-operation among the museums and museum personnel.” Although members and fees have shifted over the half century, the organization and its purpose stand strong. We hope to see you here in Raleigh for the big event! Sources: 1963 annual report, ORG 119.1 & letter “To All North Carolina Museum Personnel:” in June 26, 1964 meeting folder, ORG 119.5. See State Archives records ORG 119 for more NCMC history. Insurance is one of the primary disaster preparedness steps any cultural heritage institution can take. Yet a significant proportion of organizations do not believe they need it. Sometimes those in charge of collections believe that since their artifacts are irreplaceable, and insurance typically provides for the replacement of losses, it is not cost effective. To really think this idea through, you need to do a risk assessment. Are the chances greater that you institution’s collections will be a total loss in the event of a disaster or that they will be partially damaged? Many times, artifacts can be salvaged, despite a destructive event. 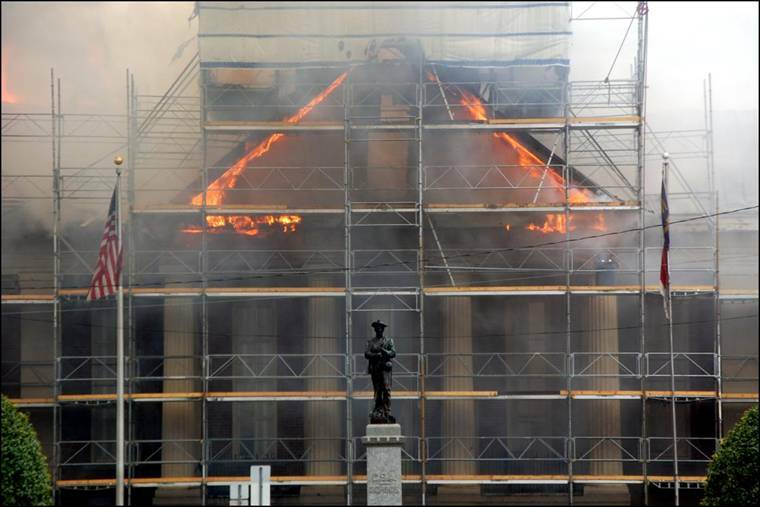 The Chatham County Courthouse Fire of 2010 consumed most of the building’s interior, yet all of its collections were able to be salvaged. Immediate recovery measures involved drying out artifacts that had sustained water damage during efforts to put out the fire. In addition, a number of objects required conservation for stabilization. Proper insurance coverage should provide your organization with the funds to accomplish this crucial phase of disaster recovery. The Historic Salisbury Foundation, which owned Grimes Mill, did not insure the property. In the wake of the January fire, trustees are still grappling with the financial consequences of that decision. Given the dangers involved in trying to save a huge 1896 roller mill, the Foundation had a mutual understanding with the Fire Department that if a significant fire ever occurred at Grimes Mill, firefighters would not be sent inside. The uniqueness (i.e. irreplaceable nature) of the roller mill was one factor that dissuaded the Foundation from obtaining insurance. But cost was the ultimate deterrent, and the structure was especially vulnerable to a fire disaster. Its dust, old growth lumber, and difficult configuration (with 14 rooflines and countless windows), as well as the sheer size of the building, all increased insurance costs exponentially. Although the reasons behind not securing insurance coverage are logical, the result is an even bigger headache in the fire’s aftermath. Clearing the land of the mill debris generated by the fire is a huge and costly undertaking, which the Foundation is required by law to accomplish. Board members hope that by selling some of the metal remnants as scrap, they can eventually generate the funds necessary to recoup most of the clean-up costs. In contrast, the Belmont Historical Society is an all-volunteer organization that spends approximately 25% of its annual $7,000 budget on specialty insurance. Leaders of this 501(c)(3) recognize that museum property is held in the public trust and prioritize insurance as a way to protect the Society’s collections and other assets, as well as visitors to their site. A recent webinar participant recommended Huntington T. Block Insurance as affordable for small museums. Can you offer our cultural heritage community any other advice regarding insurance? The internet has opened up millions of avenues for historical research, and instant access to important documents like the U.S. Census on subscription sites such as Ancestry is tremendously valuable. With separate websites for each organization and the proliferation of social media (like this blog), however, content is often uploaded with neither peer review nor fact checking. The sharing capabilities inherent in the media can also create a snowball effect, where one site makes a claim without proper verification, and then other sources, such as Wikipedia, repeat that claim. As long as the author cites the published source (i.e. often another webpage), (s)he has complied with Wikipedia’s rules, regardless of whether the source was properly vetted initially. 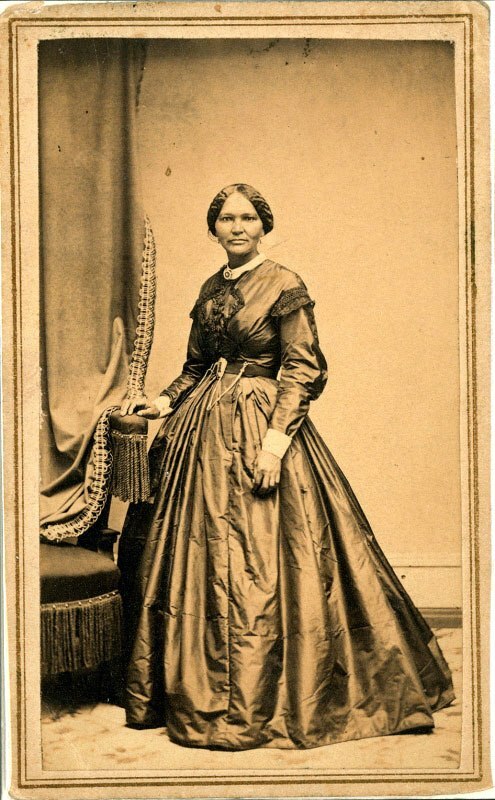 Several biographical discussions of 19th-century women of African descent, who were often poorly documented in their own lifetimes, expose the proliferation of factual errors. The popular impulse to discover black history, as well as student projects in February, motivate content creators to dig up images and information. Like the game of telephone, claims perpetuate and proliferate that may not hold up under thoughtful scrutiny. Elizabeth Keckley, although she documented herself well in her own day, has become a historical figure with questionably associated images. 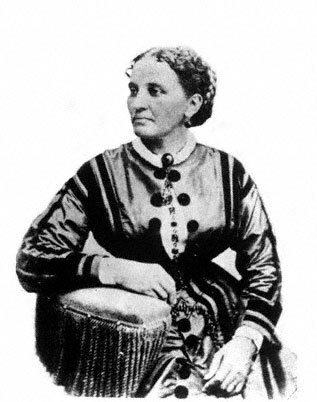 Keckley, who lived in Hillsborough, NC as a teenager, wrote an autobiographical account of her relationship with Mary Todd Lincoln, Behind the Scenes. This engraving (left) was published as part of her book in 1868. The Ostendorf collection contains a photographic portrait (right) of Keckley dating to circa 1870. Another portrait (left), an 1890s cabinet card photograph, came from the Jefferson Fine Art Gallery in Richmond, VA (from the Lincoln Financial Foundation Collection). Hallie Q. 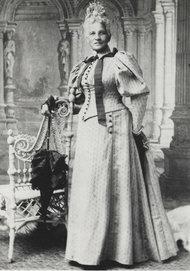 Brown, a friendly acquaintance of Keckley’s, verified the subject’s identity in her book, Homespun Heroines and Other Women of Distinction (pp. 147-149). Curiously, the subject of this 1860s carte-de-visite (right) has been identified as Keckley and published on a number of reputable sites, although the reason for its attribution, or provenance, is obscure. Do the features match the known portraits of Keckley? 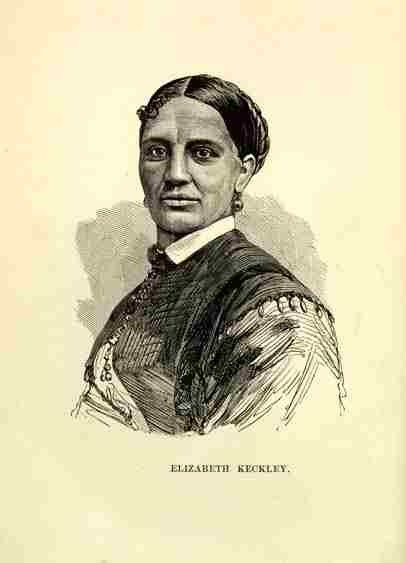 Other Keckley-related web pages include even more period photographs of women of color whose features do not match Keckley’s. View this blog post showing an image identified as Keckley at an auction and expressing the current owner’s skepticism at the attribution. Despite this content, later bloggers have copied the image, proclaiming it to be Keckley. How can public historians avoid this kind of pitfall? One way is to verify the source of each image and fact we find on the internet. Original documents, cross-referenced against each other, and peer-reviewed secondary sources can usually be trusted.